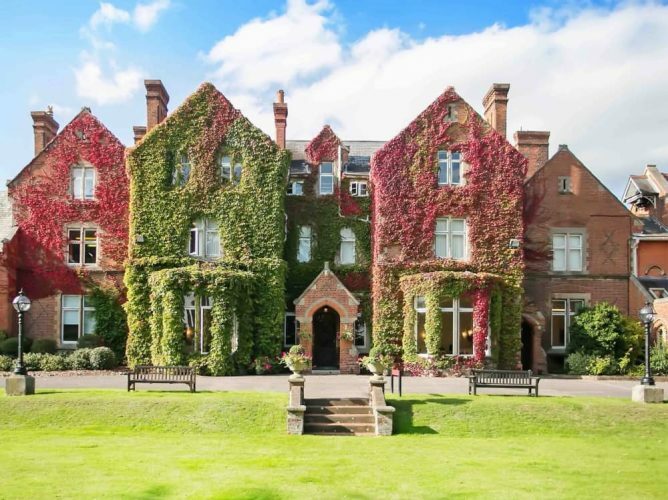 Looking for a co-ed day and boarding school (3-13 yrs) on the Berks/Surrey border with a strong all-rounder rep? Well, whaddya know! 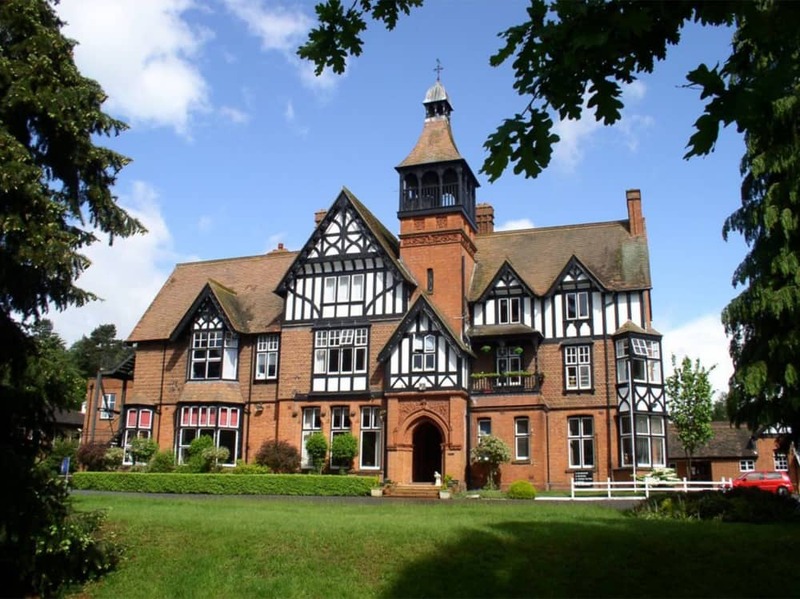 Eagle House School (above) is a non-selective co-ed prep for 3-13 year olds on the Berkshire/Surrey border. 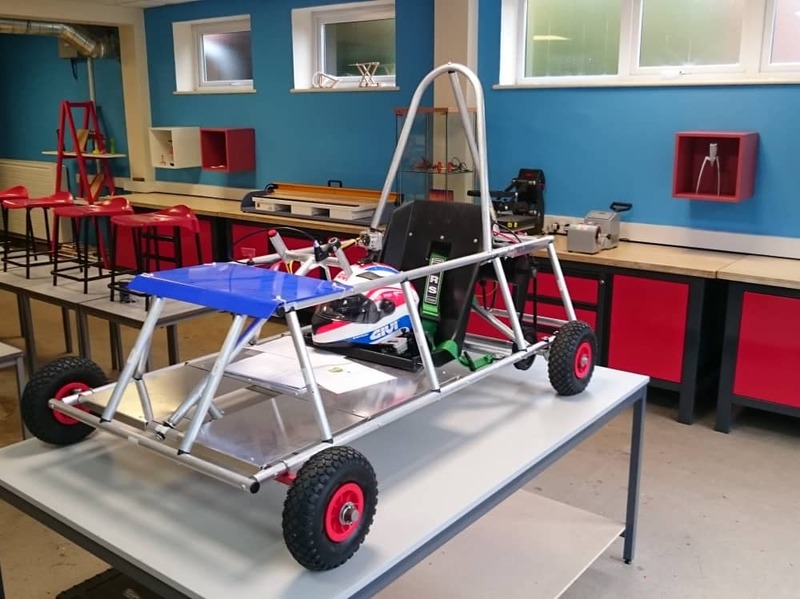 Set in 30 acres of playing fields and woodland on the outskirts of Sandhurst, the school offers places for day pupils, flexi and weekly boarders. Current numbers are 377 – 57% boys and 43% girls. 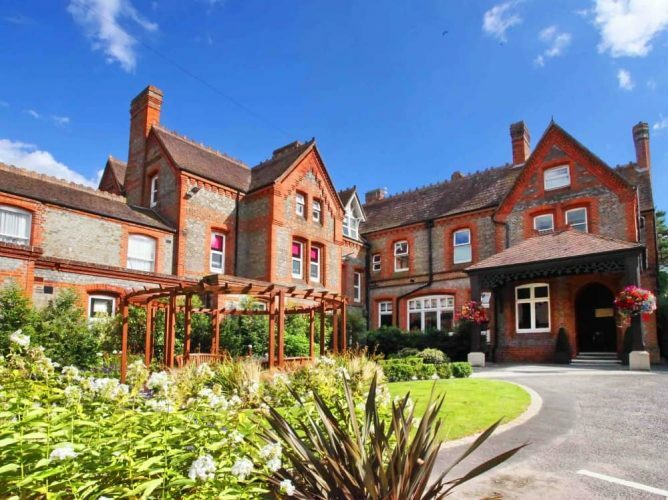 The main building of Eagle House was originally a 19th century hunting lodge built for a flashy doctor. It retains the grandeur with lots of turned wood, wall panels, impressive staircases, stained glass and Manor-house style gardens. A number of sympathetic add-ons have popped up over the years, with the relatively new Golden Eagle Centre delivering an architectural wow. The usual array of all-weather pitches, sports fields, 20m indoor pool, a huge modern sports hall and performing arts studio. Add to that a lovely bright library, modern science labs and a super-fly DT building with laser cutting machine, 3D printer and robots. It looked so cool even I was tempted to pick up a soldering iron. 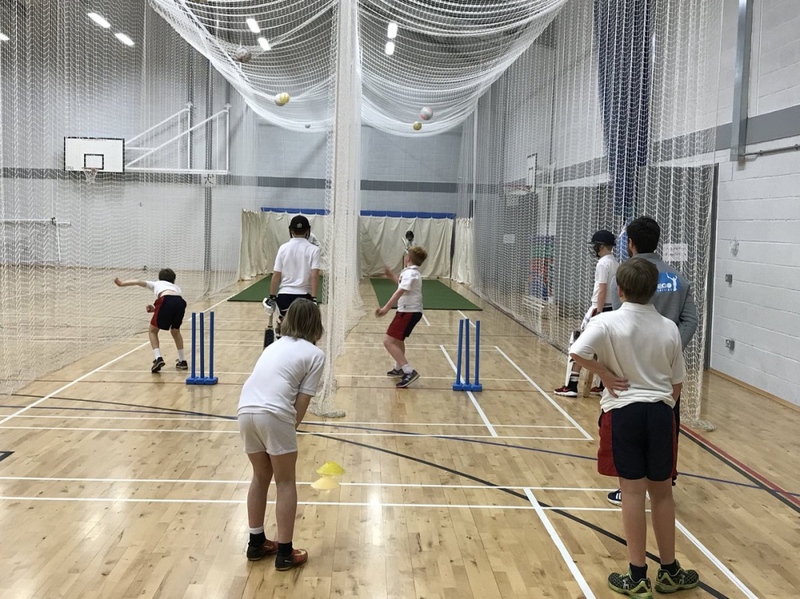 The extra-curricular activities come under the school’s Golden Eagle Programme that aims to develop the children’s have-a-go spirit and leadership skills. They can do everything from the usual sports, cricket (if they need volunteers for this year’s Antigua tour, I’m free) sailing, yoga, rollerblading, brain training, Lego, physical theatre, music, dance – there are many many more, I’m exhausted just thinking about them, but you get my drift. Schools are always working through a long wish list of improvements, and Eagle House is no exception. A new dining room and kitchen, completed in December 2018, has made mealtimes much more relaxed and less of a feeding frenzy. The kids rave about the food, so having a bigger, brighter space to enjoy it will go down well. Massive investment is also planned for a new Music School and development of the pre-prep. It’s safe to say, you can start to appreciate where the fees are going. It’s worth noting just how good the arts are here with plenty of opportunities for budding Robert Pattinson’s and Carey Mulligan’s to perform on a professional stage. In March over 150 pupils will be waving their jazz hands at the Wilde Theatre, South Hill Park in Joseph and the Technicolour Dreamcoat. 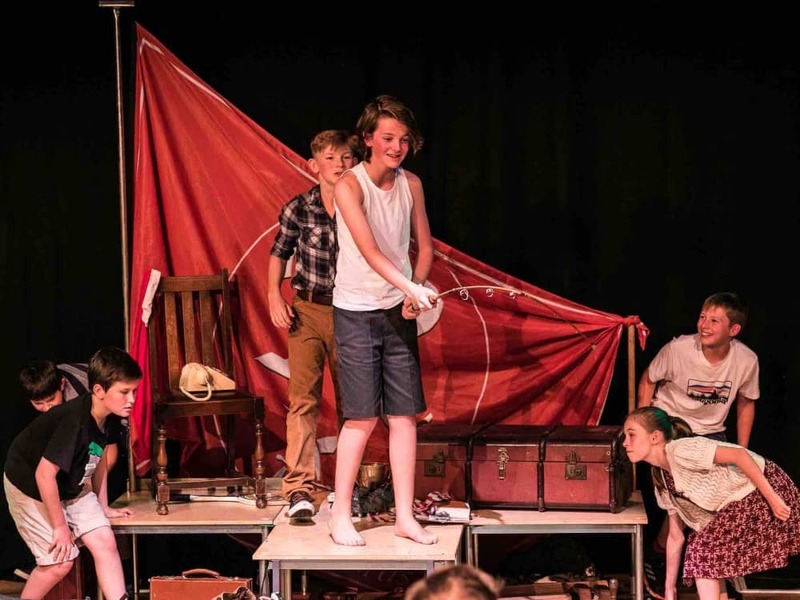 Work has just started on not one but TWO shows for this year’s Edinburgh Fringe – Goodnight Mr Tom and Lord Of the Flies. It’ll be the school’s 5th visit to the festival. How cool is that? And over 40 kids will be clicking their clogs as the head off on a choir tour to Holland. Music is also well catered for with the usual singing and ensemble groups. Over 70% of the kids play at least one musical instrument, including the harp, oboe, brass and even the bagpipes; and they have a healthy number taking LAMDA exams. The Music Room, currently in a large temporary building, looks a little shabby in comparison to the rest of the school. But the space is large, the teaching is top notch (both are composers and musicians) and the list of peri staff is long. The school’s Latin motto is Sublimiora Petamus. A quick Google and I discover it means, ‘Aiming high’ and there’s a lot of that going on. An ISI inspection at the end of 2017 reported excellence across the board. The results speak for themselves with a record 24 scholarships awarded to Y8 children to 11 different schools, including Wellington College, Radley, Bradfield College, Queen Anne’s, Charterhouse and Millfield. For a non-selective school, that’s impressive. The son of a clergyman, Andrew Barnard is undeniably a kind, considerate head who knows the school inside out. He’s one of only 12 in the school’s 200-year history (and one of them only lasted a year!) You might worry change could be afoot. But, the impression I get is that there’s always more to be done. Andrew’s front-loaded the school day with 4 lessons in the morning, and 2 in the afternoon with activities and games when the kids are more tired. He’s also one of the few heads leading the charge in dropping Common Entrance. A hot topic right now. He has already binned the humanities exam and by 2020 it will be bye bye Common Entrance, hello exciting new curriculum that’s rich, robust and assessed to fuel the older children’s love of learning. No more bored kids, switching off and flicking bits of rubber. Most prep schools offer nurseries and pre-prep these days (and the ones that don’t are fast). 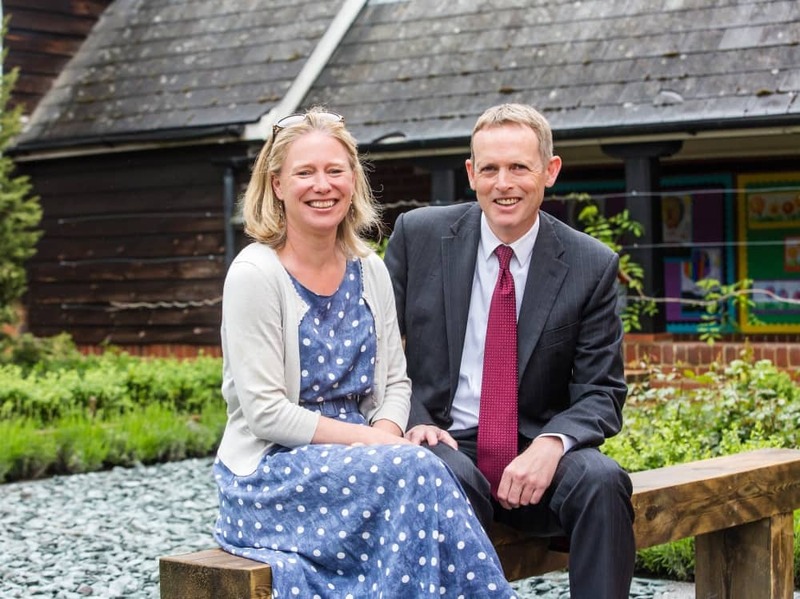 The little people at Eagle House can start at the term they turn 3 in a modern nursery called The Nest and move up through pre-prep into the senior school. 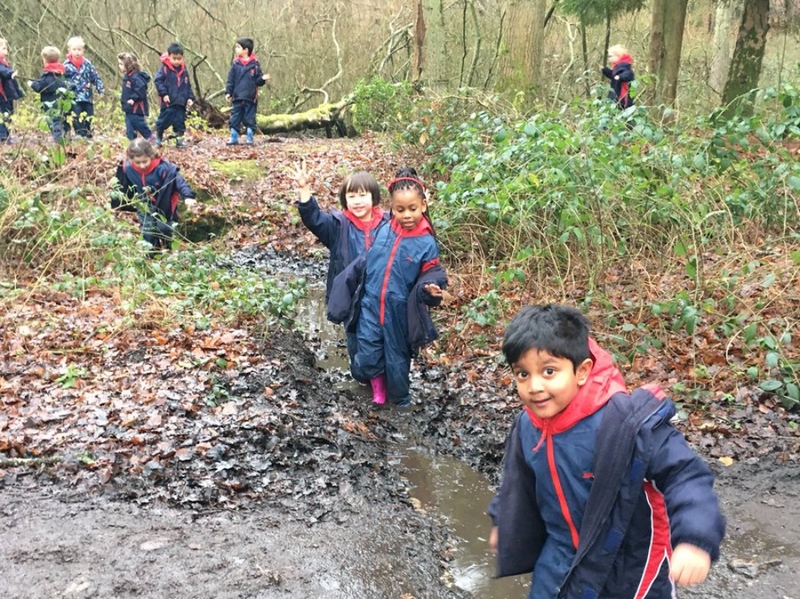 There is no fair weather learning, the littlies are booted out every day – and they love it. 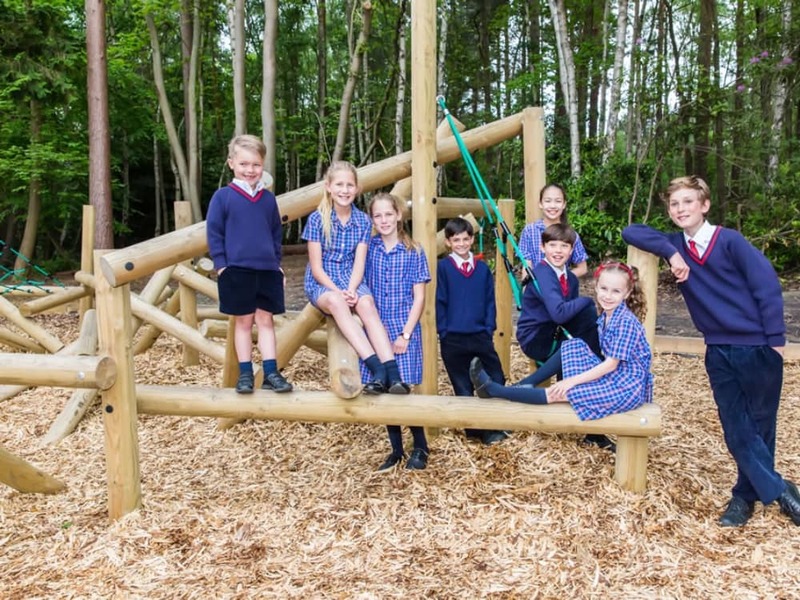 There’s fab outdoor learning area, adventure playground, lots of green spaces and woodland to run around, have fun and experience nature first hand. They also use all the facilities of the main school – not least specialist teachers who teach ICT, French, music and sport to your little geniuses. 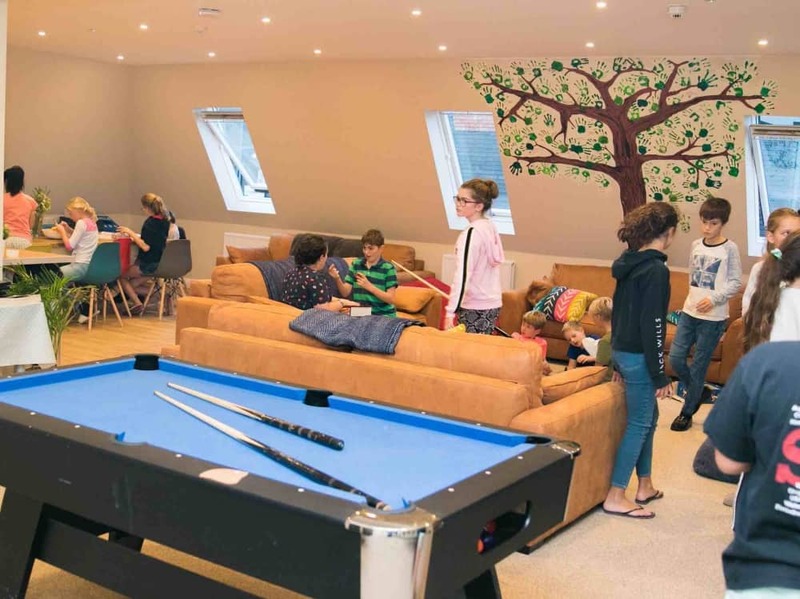 Boarding is available for 65 boys and girls and the rooms are upstairs in the main house. 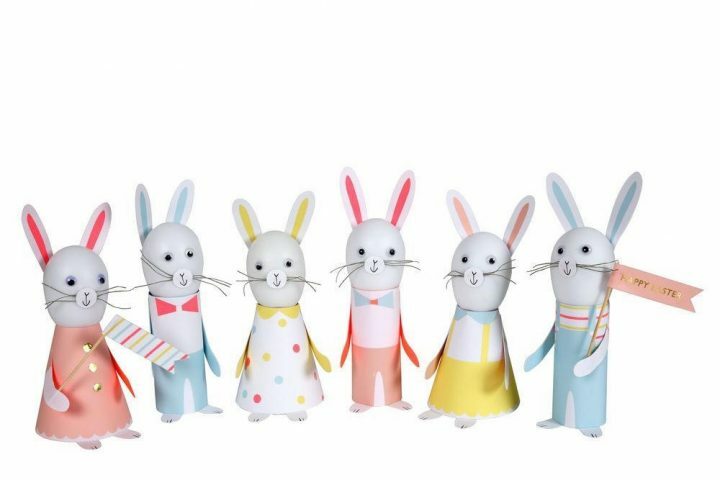 They’re not going to win any interiors prizes, but the girls’ rooms have a bit more personality, decorated with posters, pictures and pom poms; while the boys’ can only be described as functional. This is place to rest their weary heads after a long day, not to channel their inner Laurence Llewlyn-Bowen. It has a very home from home feel and the spectacular staircase leads downstairs to eat and hang out on the squishy fireside sofas. 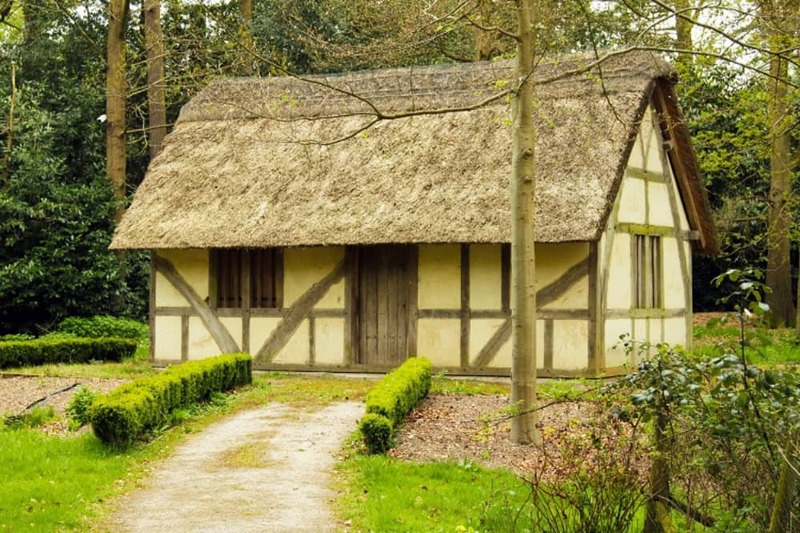 I’ve not come across a school yet that has its own Tudor House, but there’s one here. Built in 2003 buy staff and parents, using authentic building methods, it’s become an invaluable and fun learning facility. 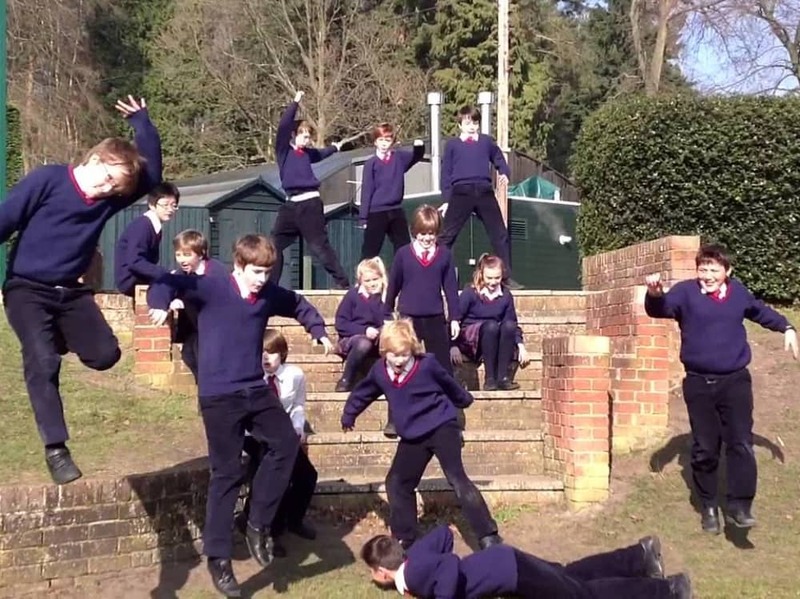 I feel a Horrible Histories reenactment can only be a matter of time. The Children’s Literary Festival will is back this September. 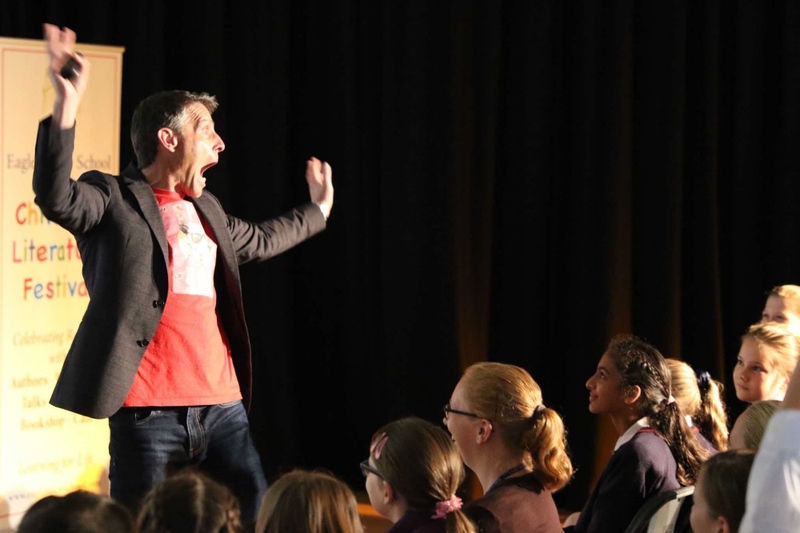 It is held every 2 years and kids from local prep and primary schools join the bookish fun and meet the impressive visiting authors, like Marcus Sedgwick. Katherine Rundell, Ali Sparkes and Matt Dickinson, to name drop a few. 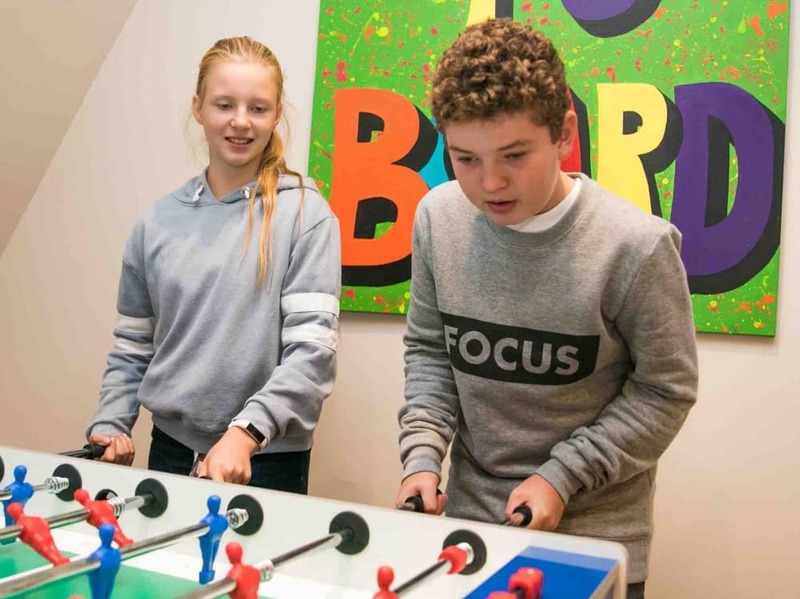 All children take part in the Learn For Life+ programme, a school initiative that encourages self-esteem, goal-setting, analysing personal strengths and weaknesses and becoming a good role model. I’m picking up this kind of initiative more and more at schools as they identify how central EQ is becoming to future employability. Travel wise, A daily minibus picks up from Sunningdale, Ascot, Windsor, Winkfield Row, Twyford and Wokingham areas and Greywell, Hants. 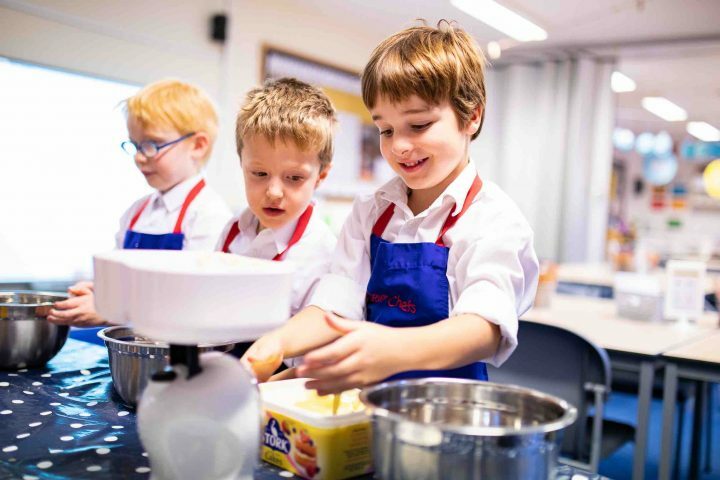 Once upon a time Eagle House School was a full-boarding school, but more kids using the nursery and pre-prep has meant that increasingly families come from the local community so it’s all about flexibility – early starts and a choice of end times to the school day. The kids can be dropped at 7.45am for the new breakfast club and nursery and pre-prep can head to The Hideout after school until 6pm were they will be given a light tea. Frazzled parents rejoice, because The Holiday Hideout runs during the school hols too. Phew! 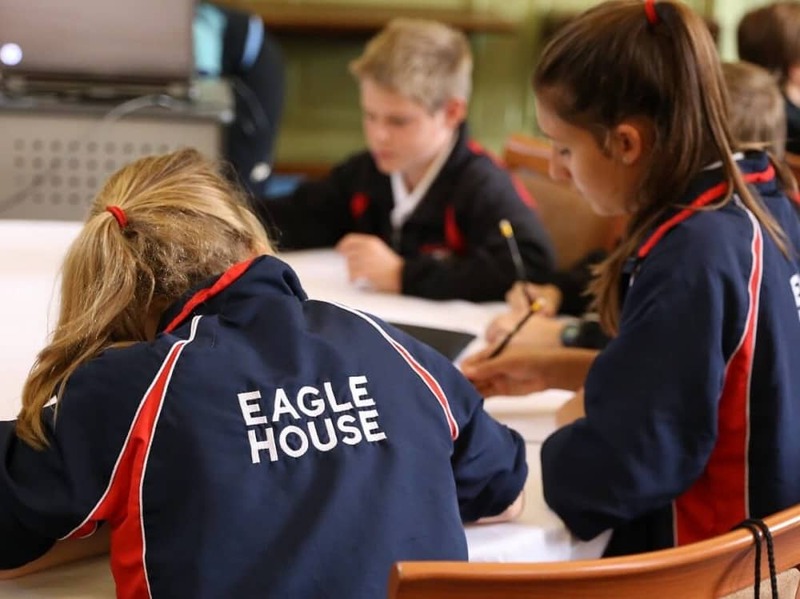 Also worth mentioning that not many prep schools offer Saturday school these days but Eagle House is still running it for all kids in Year 5+ and there are optional Saturday activities for Years 3&4. You’ll either regard that as an opportunity for a coffee with your mates or a morning you could otherwise spend with your angelic child, but I’ll leave that one in your hands! Fees: From £2,250 for nursery (5 mornings inc lunch); £3,860 pre-prep (Reception-Y2); £5,830 (Y3-4) to £6,035 (Y5-8 day pupil) and £8,110 (Y5-8 boarding) – I’d say that’s pretty average for this neck of the woods. Word on the ground: The mums I’ve spoken to are very pro the school, happy with the academic side, and the music, drama and sport. There are loads of opportunities for all kids to take part in sports teams (the school regularly fields multiple teams). Bits of the school need updating, but those I spoke to don’t mind it, and see it as part of the charm. Although, it’s all on the development to-do list. Good for: Anyone looking for a buzzy local prep with positive values, but with all the extra curricular trimmings, with the ability to feed into all the top national senior schools. The school actively outreaches to the community and other local schools. Anyone who likes the ethos of a non-selective school. Not for: Parents looking for English eccentricity; starchy uniforms and anyone expecting absolutely everything to be pristine. Dare to disagree?! Have a look for yourself at the whole school Open Morning on Sat 2 Mar (10am – 12.30pm). It’s best to book, but if you’re pathetically disorganised like me, you won’t be turned away if you just turn up.